Tops available: Pinwheel Willow Inlay, Barn Wood, Oyster (pictured), Oak, Pine. Also available as base only for use with glass top. 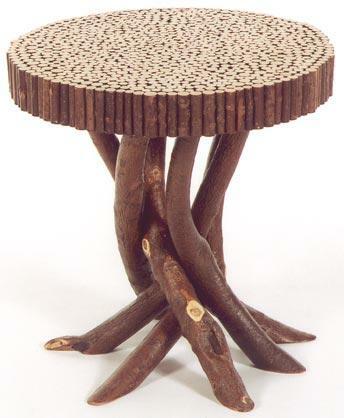 The price for the #2502 oyster-top root base end table is $385. We will be happy to give you specific prices if you email us with a list of the ones which interest you. Just send your list to us at info@thebenttree and we will respond quickly.